Dave Evans reports on the governor's congestion pricing plan. New York Gov. Andrew Cuomo is set to propose a new congestion pricing plan to ease traffic in Midtown Manhattan and help fund the MTA. Last year's proposal was $11.52 per trip for cars, and $25.34 for trucks. Sources say this year's plan will probably be very similar. All the new money, about $600 million a year, would go to fix the city's subways. "When everyone is in charge no one is in charge," said Cuomo. "I am willing to assume responsibility but I'm not doing it without authority." 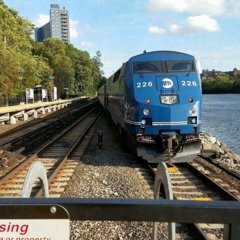 "I do commend the Governor for stepping up and saying he wants responsibility for the MTA," said New York City Mayor Bill de Blasio. "I think there's something good there." The mayor praised the governor Monday, saying that if he can fix the subway, go to it. But as for the governor's plan to force the city to pay for half the repairs, de Blasio said there is not enough money. "If anyone thinks that money can be found in the city budget they may be smoking marijuana," said the mayor. "So the fact is it just isn't there"
A new poll out Monday shows most New Yorkers support congestion pricing 52 to 39 percent. Cuomo says if it doesn't go through this year it'll likely never happen. The official debate on this kicks off Tuesday in Albany with the governor's budget address. Hopefully, this will go through. Something is needed to be done to cut down on traffic in Midtown. "....But as for the governor's plan to force the city to pay for half the repairs, de Blasio said there is not enough money." All this Congestion Charge is is forcing NYers to directly subsidize so Albany doesn't have to. Had Albany just restored the funding it cut a decade ago, we'd probably have a reliable and less congestion because all those damn gypsy cabs wouldn't be traipsing Midtown looking for fares or Uber hails. In 8 years, my native California went from a $27 billion deficit from the recession and Enron screwing us on power to a $9 Billion surplus. And in the process restored a large part of the state transit subsidy Schwarzenegger and now former Governor Jerry Brown cut. What the hell has New York State been doing? Trying to run the same game they did when Lotto was first introduced. That Lotto money was believed to be in addition to the state funding already in place. Too bad the idea wasn't chiseled into stone tablets at the time. All this chatter about congestion pricing and a lockbox for transit funding sounds good to many younger folks but as someone who has lived through several bond issues where the monies were diverted to other uses I'd like to see some ironclad agreements on the present financing plan. Railfans drooling over new equipment being delivered now and in the near future while signal and switch problems are a daily thing on the subways or the LIRR. My fellow retirees and some present RTO people think that Stevie Wonder could see the obvious disconnect taking place in transit's operations and planning. I recall talking to management in the subways when someone said that the new SOP was to " blind 'em with B.S and the public won't notice". IMO the governor, mayor and the better get their priorities straight today before any additional funding is added to the wish list. Reliable funding, right. Maybe the folks on the Left Coast have seen the light while many New Yorkers are still blinded. Just my opinion. Carry on. This source (yes I know, the evil Streetsblog) mentions that Cuomo is specifically calling for the proceeds of congestion pricing to be bonded out for $15B. So basically, we're going to pay for congestion pricing for the rest of our lives to fund half of a five-year plan once because the State and MTA piss away money like nobody's business. Amazing. ...and cry broke in the process. Whoever came up with the motto of this frickin state (Excelsior) most certainly had taxation in mind.